On July 7, 2014, Israel launched a series of aerial attacks on Gaza, followed by the ground phase of the operation ten days later. Mads Gilbert arrived in Gaza on July 13th and worked day and night for the next two weeks at al-Shifa Hospital, dealing with casualties, repairing serious injuries, and trying to save lives. While helping the wounded, Dr. Mads Gilbert kept a camera in the pocket of his scrubs, enabling him to document some of the human cost paid by the Palestinian people for enduring the Israeli invasion. Night in Gaza is the photo story you will not see on television or in the newspapers. It is also a tribute to the courage, endurance, and almost inconceivably strong spirit of Palestinian health workers and volunteers, a spirit replicated throughout the severely tested society of Gaza. 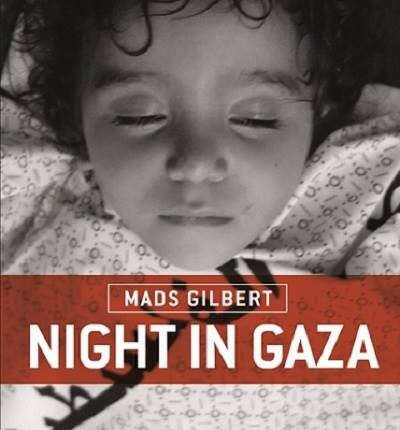 Copies of Night in Gaza will be available for purchase.